Two portable new all-tube heads and new 1x12 cabinet join the lineupWOODINVILLE, WA, USA – September 17, 2015... Ampeg today introduces two new compact all-tube heads and a new cabinet to its top-selling Portaflex Series. Along with the new PF-112HLF cabinet, Ampeg’s new all-tube PF-20T and PF-50T heads deliver authentic Ampeg tone in compact, affordable designs perfect for small to medium-sized shows, rehearsal spaces and studios. WOODINVILLE, WA, USA – September 17, 2015... Ampeg today introduces two new compact all-tube heads and a new cabinet to its top-selling Portaflex Series. Along with the new PF-112HLF cabinet, Ampeg’s new all-tube PF-20T and PF-50T heads deliver authentic Ampeg tone in compact, affordable designs perfect for small to medium-sized shows, rehearsal spaces and studios. Designed to be compact and match perfectly with existing Portaflex cabinets, the new PF-20T (20W) and PF-50T (50W) are modern interpretations of Ampeg’s legendary low-wattage, all-tube designs. Both deliver a wide range of classic Ampeg tones, from warm and clean to the over-the-top saturation that only all-tube designs can deliver. Both heads are also great for recording in a quiet environment like a studio, as they can be run without a speaker load. While both new heads are compatible with any Ampeg Portaflex cabinet, they are compact enough to use the “flip-top” design of the PF-115HE and PF-210HE, creating a compact all-tube rig that travels very well. Also joining the Portaflex lineup is the new PF-112HLF cabinet, a 1x12” design featuring a selectable high-frequency driver and porting for added low-frequency extension. It joins four other cabinet models in the series, offering flexibility to build a Portaflex rig to fit any player’s application. “The incredible versatility of these heads make them more than just a great entry into Ampeg tube tone, but also an amazing tool in the studio or on the stage for bass players at any level,” concludes Williams. The Ampeg Portaflex PF-20T, PF-50T and PF-112HLF are now shipping worldwide. The heads and cabinet are sold separately: PF-20T (U.S. MSRP $839.99), PF-50T (U.S. MSRP $1259.99) and PF-112HLF (U.S. MSRP $519.99). 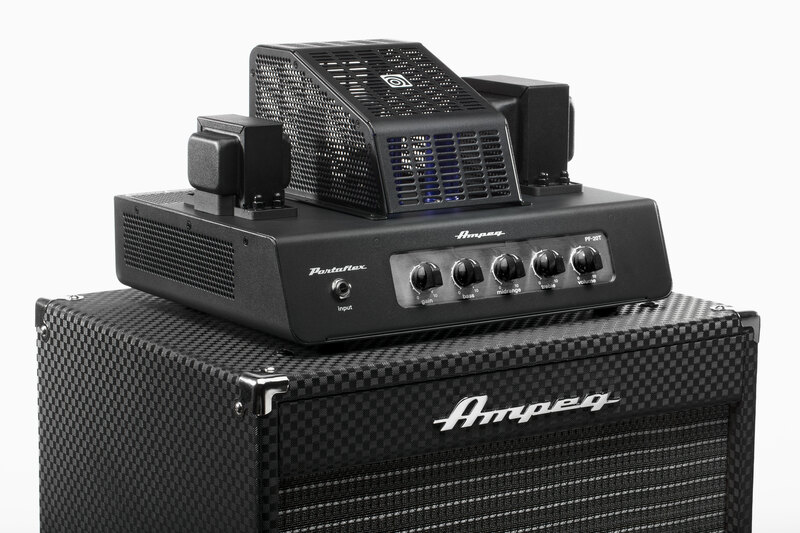 Visit www.ampeg.com to learn more about the new Portaflex heads and cabinet. Ampeg, a LOUD Technologies Inc. brand has produced some of the music industry&apos;s most innovative and memorable products over the past six decades, satisfying the needs of musicians on stages and in studios all over the world. 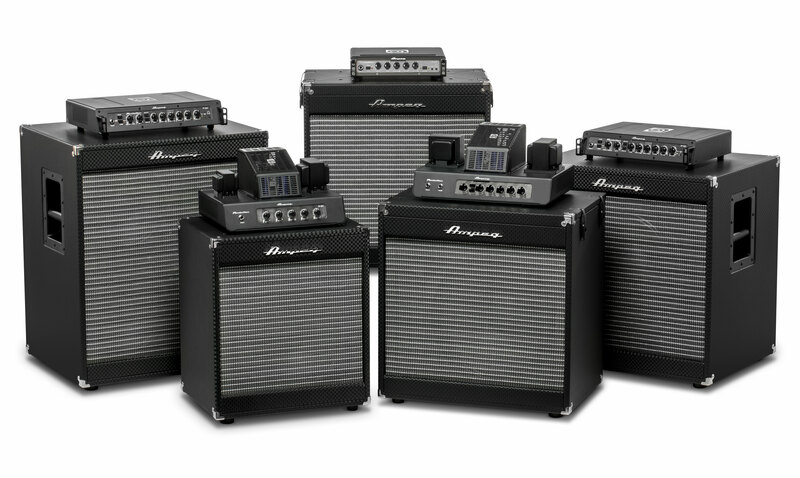 Ampeg products offer incredibly unique features and performance capabilities, which have resulted in numerous U.S. patents under the Ampeg brand name. For more information visit www.ampeg.com. Ampeg is a registered trademark of LOUD Technologies Inc. in the United States and all other countries. All other trademarks are the property of their respective owners. Ampeg's new all-tube PF-20T and PF-50T heads deliver authentic Ampeg tone in compact, affordable designs perfect for small to medium-sized shows, rehearsal spaces and studios. Altamonte Springs, Florida—September 2015… Bassist Jimmy Miller plays jazz, rock, pop, classical, country, and even Arabic music. But he’s best known for his work with ‘50s-‘60s powerhouse Rocky & the Rollers. The old-school rock ‘n’ roll band plays a full schedule of shows in their home state of Florida, along with regular out-of-state gigs backing some of the era’s legends, including ex-Sha Na Na frontman Jon “Bowzer” Bauman’s Rock ‘n’ Roll Party and Ultimate Doo-Wop Party shows.